Well known Magnoliaceae expert and researcher, Professor Zeng Qing-Wen of South China Botanical Garden (SCBG) in Guangzhou, tragically lost his life when he accidentally fell from a 40 meter high research platform which had been erected in 2011 in order to reach into the canopy of the famous Magnolia sinica tree in a remote area of Xichou County near Fadou Town in Southeast Yunnan, China. Over the past year Professor Zeng and his research team had been performing hand pollinations and studying the reproductive mechanisms of this critically endangered species. He had been inspecting fruit setting status from the platform when the awful accident occurred on 20 September 2012. 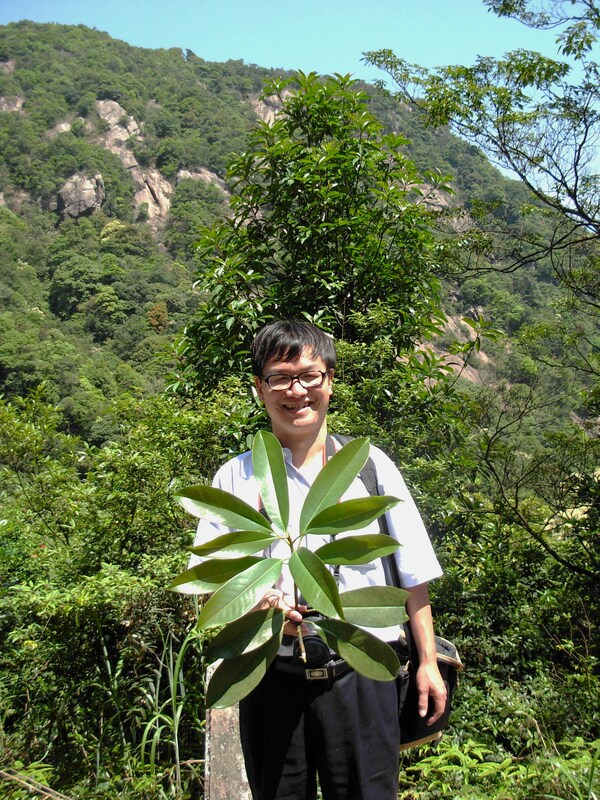 Professor Zeng had long been engaged in Magnoliaceae at SCBG as an educator, project leader and collaborator in numerous research initiatives involving all aspects of Magnoliaceae including conservation, field studies, breeding, ornamental plant selection and evaluation, and other areas. He has authored several books including Volume 15 of a series of Illustrated Practical Handbooks about Landscape Plants entitled "Featured 98 Ornamental Magnolias (Mulans)" in 2007, and he was an Associate Editor of the very popular and well known “Magnolias of China” in 2004. He has authored over 25 papers – mostly on Magnoliaceae – in various scientific journals, and was author or co-author for 6 Magnoliaceae species. One of those species, Manglietia longipedunculata (Magnolia longipedunculata), he discovered himself during an expedition to Mount Nankun in May 2000 (pictured, above). Since that discovery, only that one population consisting of 11 individuals has ever been found, making M. longipedunculata one of the rarest magnolia species in the world. Zeng Qing-Wen also played prominent roles in the administration of the first (1998) and second (2009) International Symposiums on the Family Magnoliaceae at SCBG as well as for both post-symposium excursion events where his passion and knowledge of magnolias were as ever-present as his kind demeanor and friendship. He was also Co-editor of the Proceedings for both symposiums. His passing is a terrible loss for the entire world-wide magnolia community. We will miss him.